The results of project COMSODE enable open data innovation in public bodies and any size businesses. 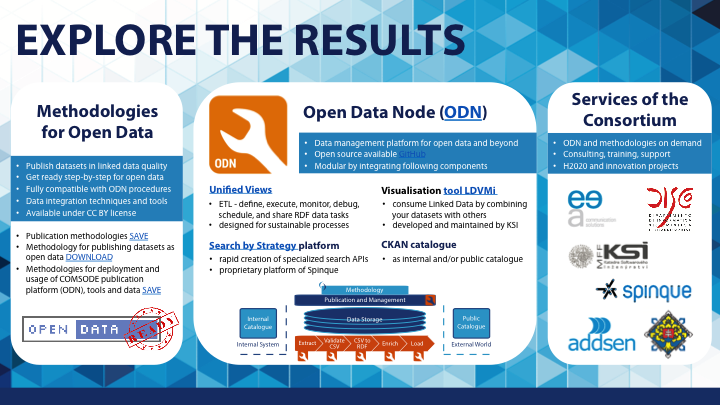 Consortium delivered technologies for sustainable data management (publication, data quality, search, visualization) available mostly as open source. Moreover, the proven methodologies support the upgrade of internal data management processes. The success story now continues across the EU. Ask for expert services of the COMSODErs and benefit from sustainable data management!